Are you looking for a way to completely transform and enhance your Milton Keynes property? 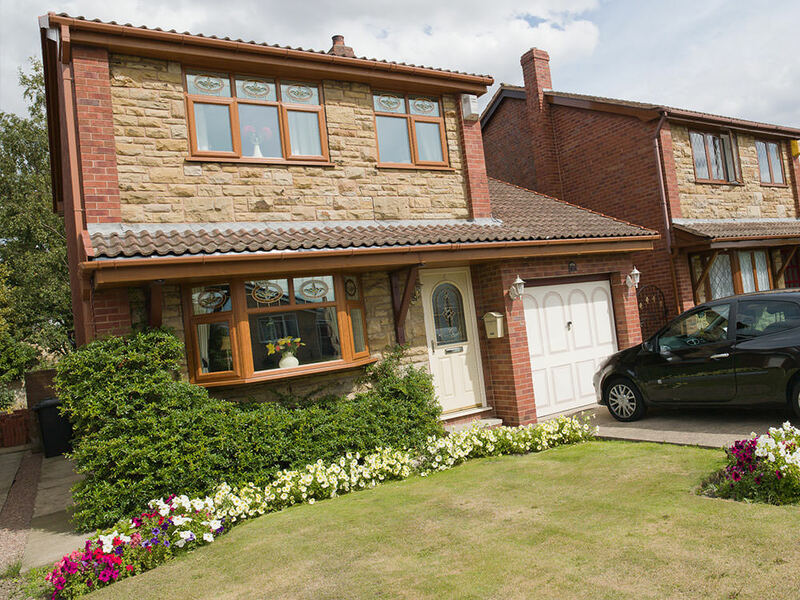 Would you like to dramatically increase your home’s curb appeal, simply by replacing your double glazing? At Windows Installation Services, our uPVC bow and bay windows offer the perfect balance of style and function. Highly thermally efficient, secure and durable while being incredibly easy to clean, these windows indeed offer incredible performance across the entire spectrum. Windows Installation Services have been operating out of Milton Keynes for years, and have built a reputation for top of the range products and highly efficient installations. We pride ourselves on being a trustworthy company that is willing to go the extra mile for its customers. When you invest in our uPVC bow and bay windows, you are guaranteed optimal service all the way from your initial quote through to installation. We have composed this handy guide to our uPVC bow and bay windows to highlight their benefits and features and to show you how they will enhance your home. uPVC bow and bay windows are a highly sophisticated way to make your home appear more spacious. These windows have features such as separate glass panels, which you can benefit from with a huge amount of natural light. When it comes to creating the illusion of space, there’s no better method than natural light. However, when you have bow and bay windows, you’re not just creating the illusion of space, but you are creating space! The protrusion of the windows means you can use them to house decorative items such as flowers or ornaments. Alternatively, you could add a window seat to make them a practical feature in your home. uPVC bow and bay windows are a great addition to any home. Our uPVC bow and bay windows are built using the latest profile innovations from Liniar. They feature a multi-chambered profile which is designed to create a thermal barrier between your home and outside. Retain heat and not fall susceptible to draughts. Hopefully, you should see reductions in your energy bills immediately. uPVC bow and bay windows will keep your home warm and comfortable all year around. Therefore you will rely less heavily on your central heating. You are likely to make significant savings on your heating bill because of this. Our uPVC bow and bay windows are a fantastic money saving investment for your Milton Keynes home. In addition, these windows are also a highly reliable choice for your Milton Keynes property. The Liniar profile is internally reinforced, which makes your uPVC bow and bay windows incredibly rugged, with no need for additional steel reinforcements, and will stand up incredibly well, even under a sustained physical attack. To augment the security of our uPVC bow and bay windows further, we have fitted them with market leading Yale locking systems. Yale is held in high regards throughout Milton Keynes and the entire world for offering a uniquely high standard of home protection. Between our incredible locks and our secure profiles, your home is fully protected. Let our beautiful uPVC bow and bay windows offer you complete peace of mind. At Window Installation Services, we are proud to say that we have a uPVC bow and bay window to suit any home in Milton Keynes. 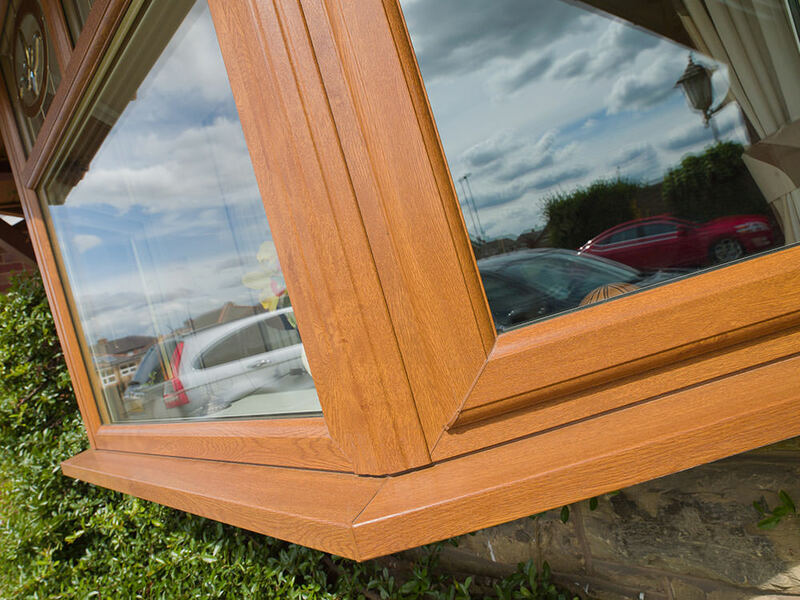 Our windows are available in an assortment of colours or woodgrain finishes to help you create the perfect look for your home. We also offer a range of practical and decorative hardware options, to help you create a true, traditional look or a modern and sleek look, depending on your home and personal style. 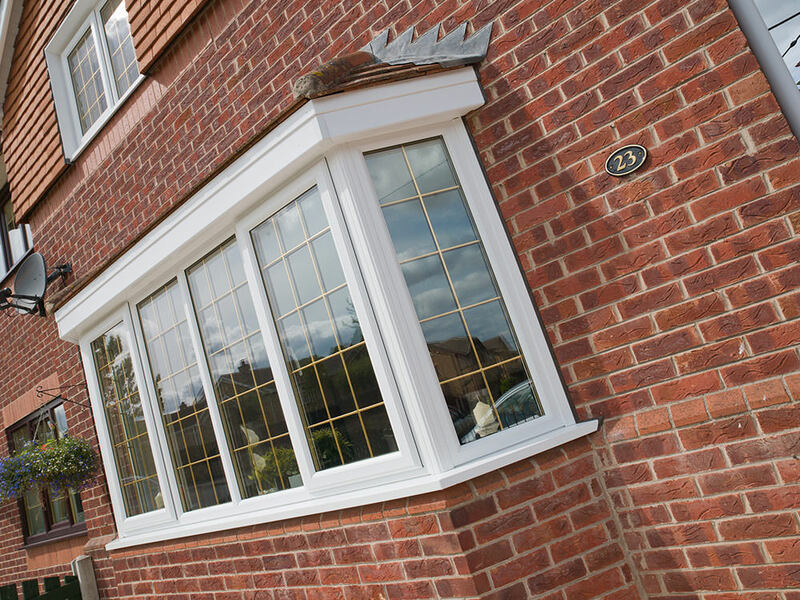 Create bespoke windows that are guaranteed to suit your Milton Keynes home. If you would like to find out more about our incredible bow and bay windows in the Milton Keynes area, please do not hesitate to get in touch. Our friendly and professional team of double glazing experts will be with you as quickly as possible to answer any questions you have, address your concerns and supply you with any further information you may need. Alternatively, if you would prefer to receive a free and instant online quote for our bow and bay windows in Milton Keynes, please use our online quoting engine. We will have your personalised quote ready for you within minutes, tailored to any specifications you give us. We commit to offering highly competitive prices, and when you utilise our quoting system, you are under no obligation to buy.